One of the things that I try to take advantage of in my photos when it applies is gesture. Gesture helps bring life to an otherwise still photo and can help lead the eye through the frame. When I find this most helpful is when doing my aviation photography. 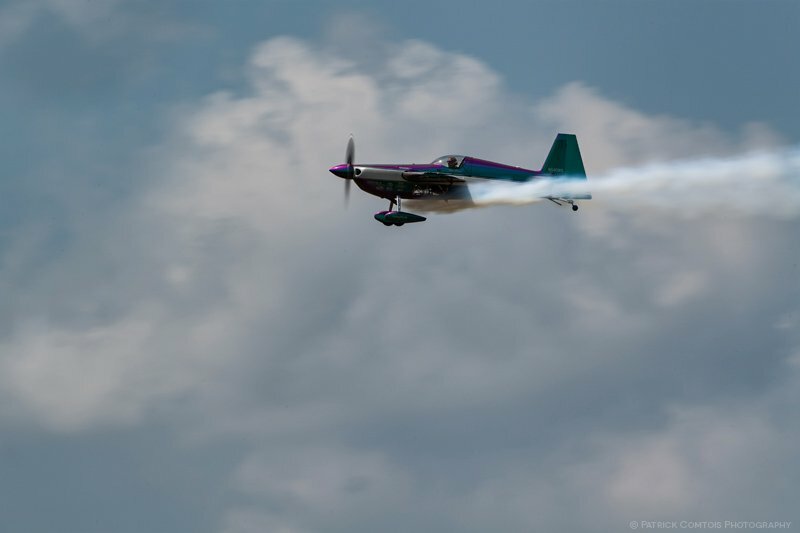 When aerobatic performers are in the air, they will quite often use smoke during their acts. This is great way to lead the eye through the frame and back to the subject, the aircraft. Another use of gesture is convey movement and speed. In this next photo, the performer is moving at over 200 mph and with the clouds and smoke blurred from the motion in gives the sense of speed. One caveat here is to make sure that you have practices your panning technique and can keep the subject on the film plane for a tack sharp photo. There are times at an airshow, I don’t lay on the motor drive, I look and pay attention to the background. 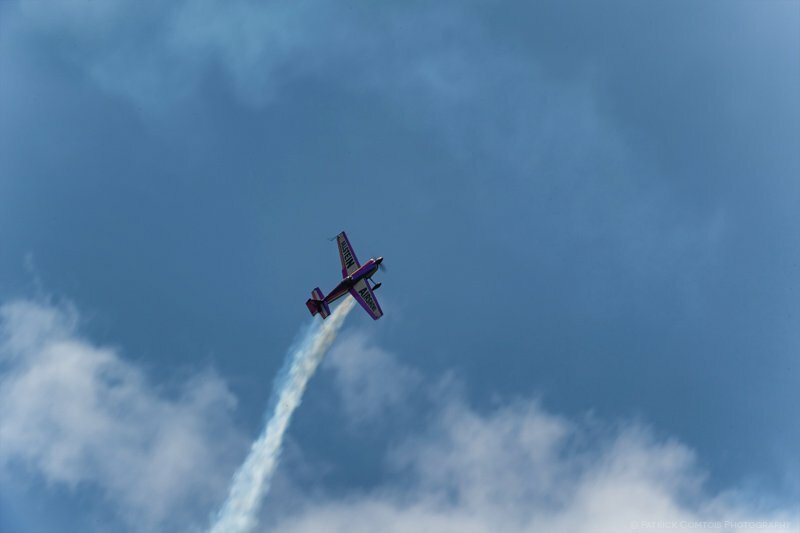 I personally like clouds in my aviation photos, but sometimes you get a clear blue sky and that is where the gesture of smoke can really help improve the photograph.